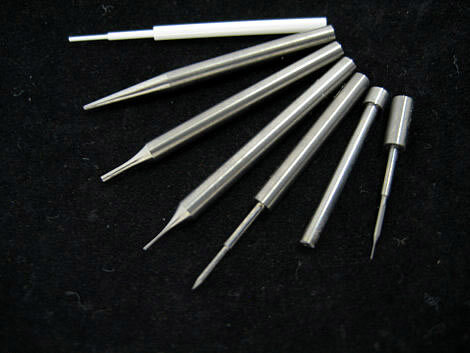 Why not try our pins and shafts, which were created using our micron to sub-micron accuracy grinding technology. They are used in all sorts of fields, such as automobiles, communication, semiconductors and medicine. 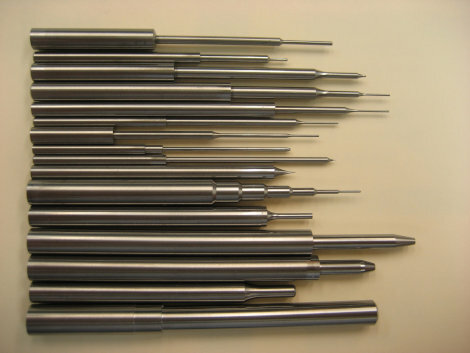 We can mass produce our pins and shafts, or produce them in small lots. Tungsten carbide, ceramics, diamonds, CFRP, silicon alloy, etc. If you specify your desired dimensions and degree of accuracy, we will provide an estimate.